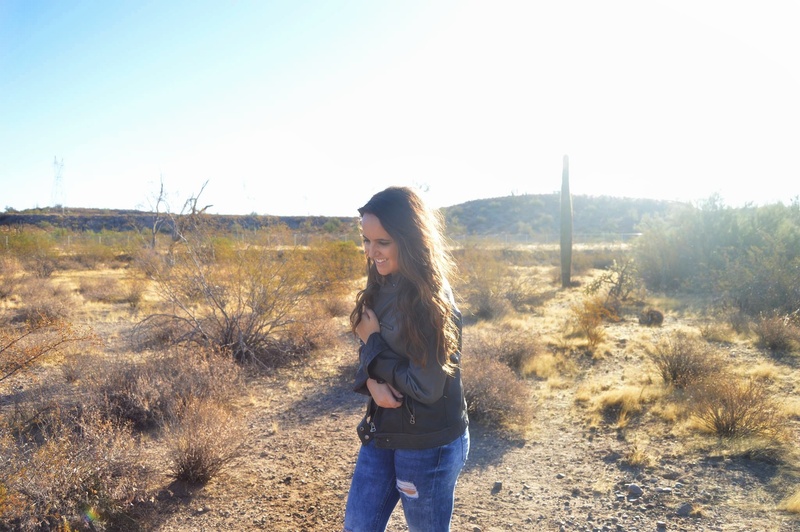 The weather in Arizona is finally starting to cool down, so I am looking to find the perfect jacket for the cooler weather! I wanted to share with you some of the adorable jackets I am dying to get my hands on! I am really going for styles that will transition well into the winter season. The winters in Phoenix range from the high 50’s to mid 60’s making jackets an easy look to carry over. The focus today is on two of my favorite boutique shops. The first shop is Closet Candy Boutique. Absolutely one of my favorite stores! I’ve been dying to get my hands on this jacket. It’s the Ready for Take Off Jacket in the color chocolate. Its the perfect fall/winter jacket and is the perfect accessory to a plain white tee or a cute dress. Pair it with these adorable boots from Closet Candy and you have an amazing outfit! One of my other favorite shops is Modern Vintage Boutique. This chic boutique sports a unique jacket I can’t wait to try out! I also adore this Faux Leather Cognac jacket! I love the lighter look for pumpkin patches, hayrides, walks in the desert, and everyday attire. It’s a beautiful jacket for fall! The final option is the Sequins Sleeve Cargo Jacket. It ties two of my favorite things together, jackets and sequins! This is a unique and bold choice to pull off and I highly recommend you try it. This look will transition your style into the holidays seamlessly. Because, as we all know, sequins are the perfect addition to any holiday look! I can’t wait to show you what I decide on! Let me know which item you think I should get below!